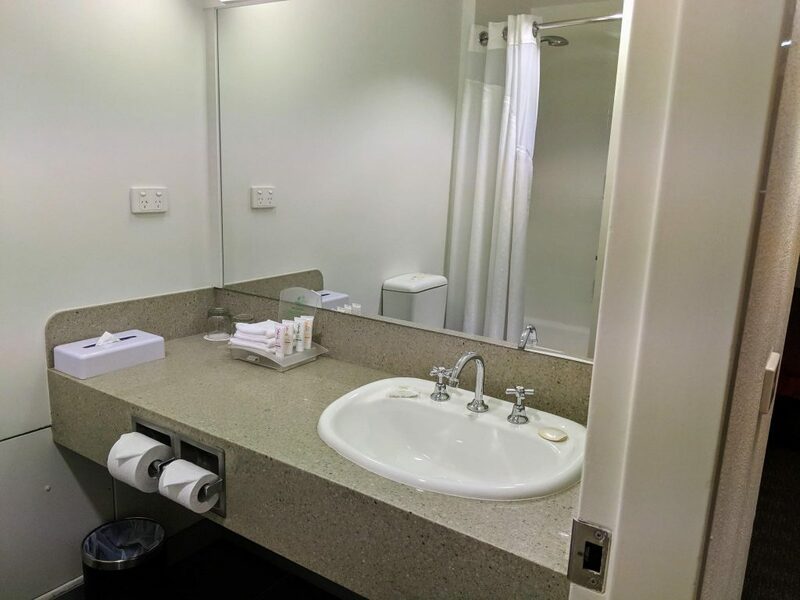 The Holiday Inn Melbourne Airport offers 207 spacious, soundproof guest rooms and a range of facilities and services. The hotel is conveniently located 400m from airport terminals and can be accessed via foot or a complimentary transfer on a private shuttle bus. 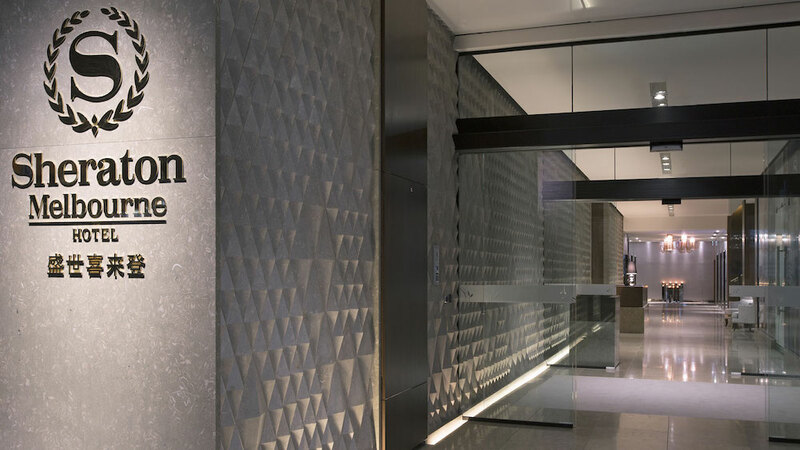 The Holiday Inn along with the Crowne Plaza, Indigo and Kimpton Hotels are subsidiaries of the InterContiential Hotel Group (IHG). 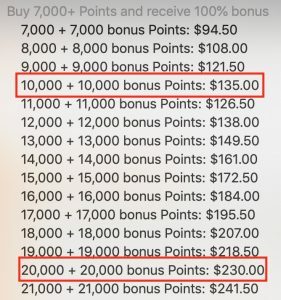 IHG have their own rewards program. 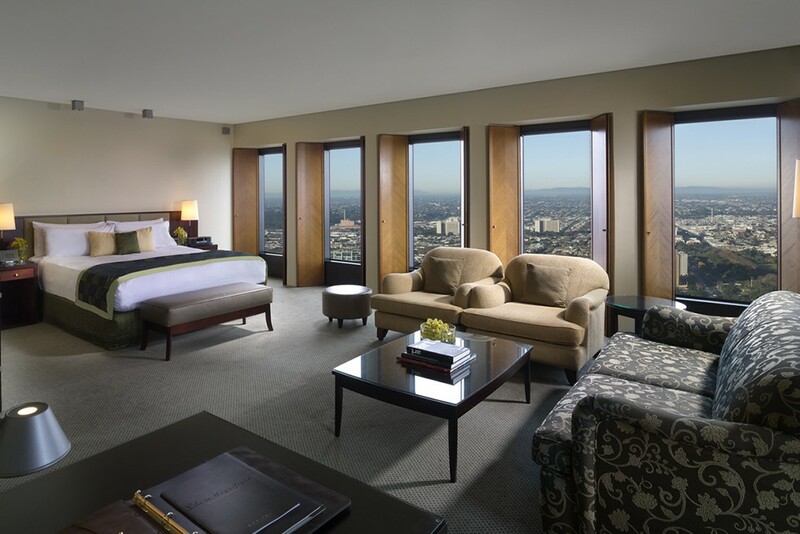 You can read more about IHG Rewards and their PointBreaks promotions. 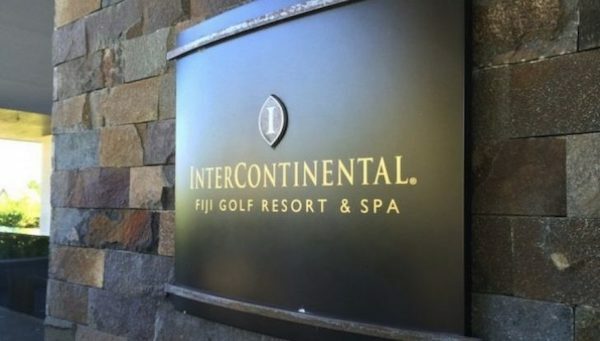 It should be noted that IHG does not match hotel status with other hotel loyalty programs. 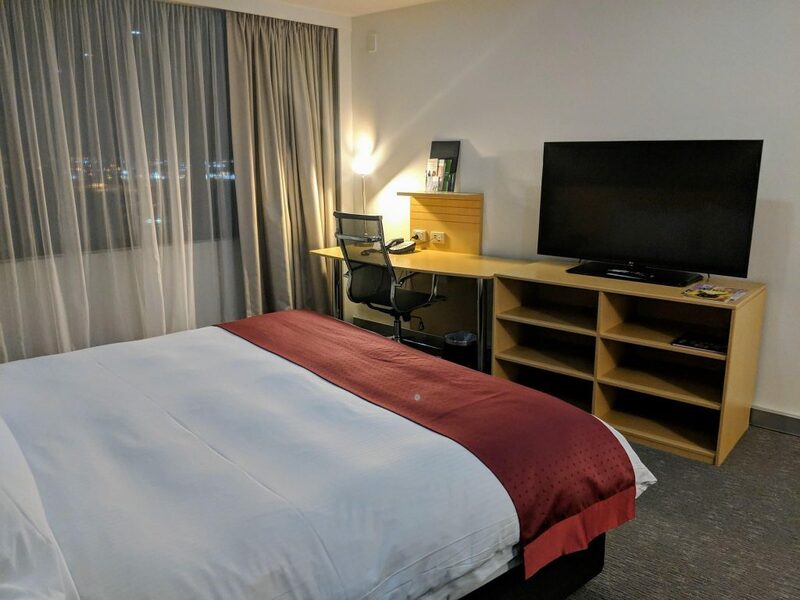 The King Executive Room costs approximately $210 (early February 2019 prices) and was booked in conjunction with a $30 Qantas voucher emailed shortly after booking flights to Japan. 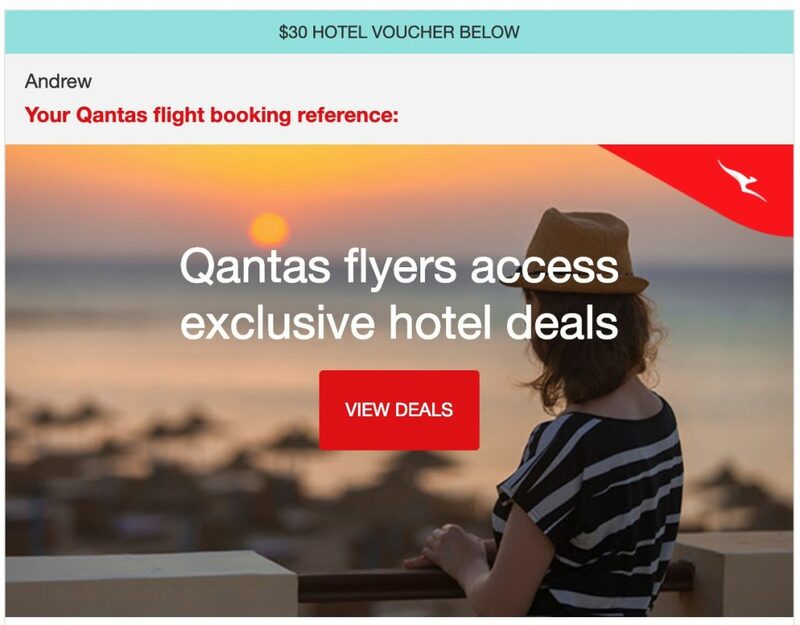 Vouchers are valid for 72-hours and must be booked via the email. Award rates for the King Executive Room are not published on IHG’s site, however, a night stay in a Queen Superior Room will cost 40,000 points or 20,000 + $181. 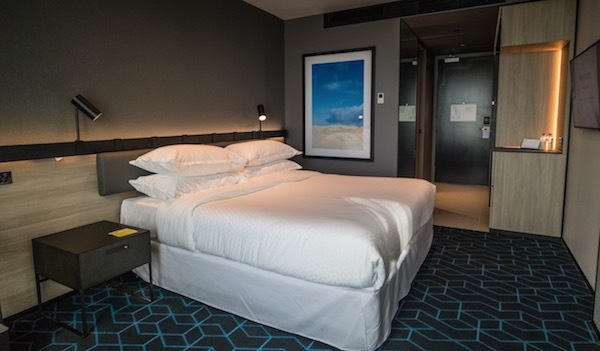 Purchasing one-night accommodation with IHG’s regular 100% additional points promotion will cost roughly $325 AUD or $371 AUD with the points and cash option. 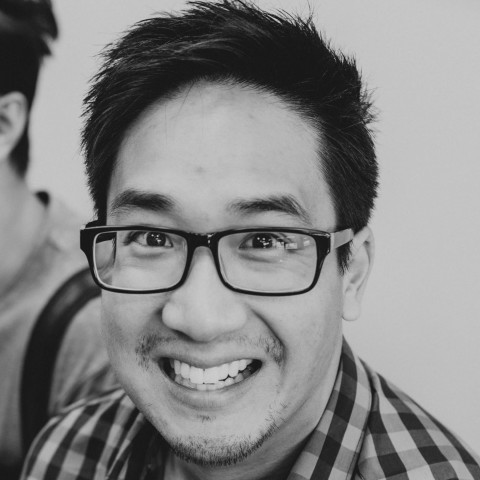 It is more feasible to book the room with cash. The king-size bed is extremely comfortable. The room is large enough for guests to spread out for work or relaxation and easily fits two full-size luggage and a 2.5 seat sofa. Room amenities include complimentary tea and coffee making facilities, minibar, in-room safe and individually controlled airconditioning. The workspace is fitted an ethernet port and power outlets for those that require high-speed internet. The 32-inch TV is also viewable from the sofa. 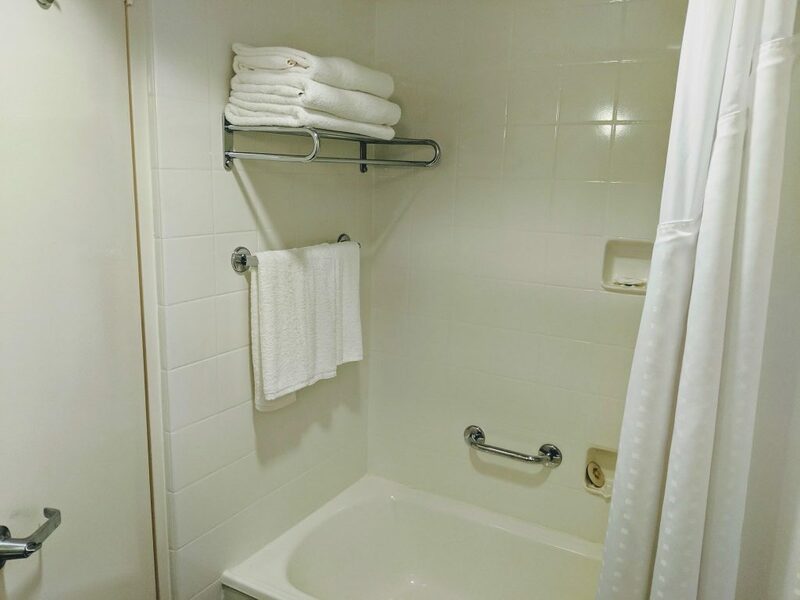 The bathroom is simple and includes the usual necessities required for short-term stays such as including a bathtub, hairdryer, ironing board and toiletries. 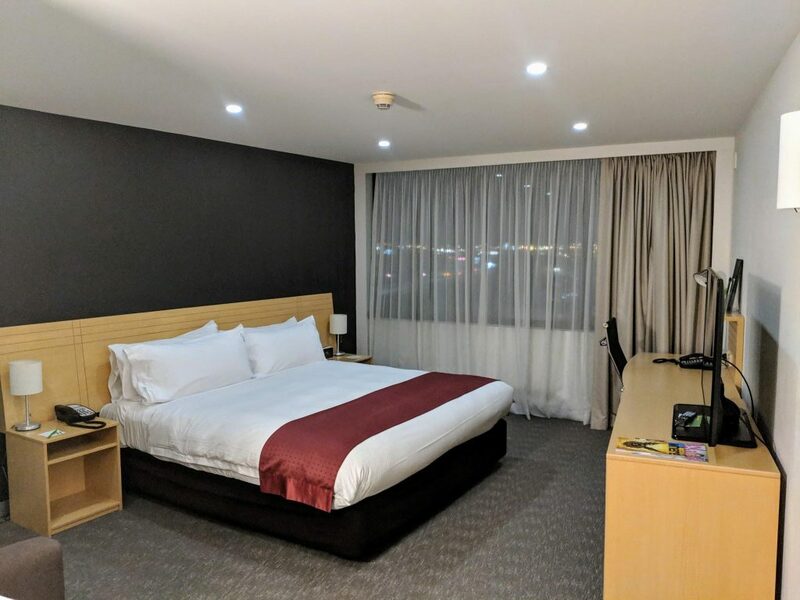 As expected from an airport hotel, the Holiday Inn provides a provides 24/7 complimentary airport transfers for hotel guests arriving or departing from Melbourne Airport. For an additional $20 per day, the hotels onsite parking lets guests stay and go, with up to 7 days of parking. Guests can also access the hotel’s mini gym choosing from a range of machines and free weights. The hotel provides complimentary breakfast at the Vargas Bar and Restaurant for guests staying in Executive rooms starting at 5:30 am. 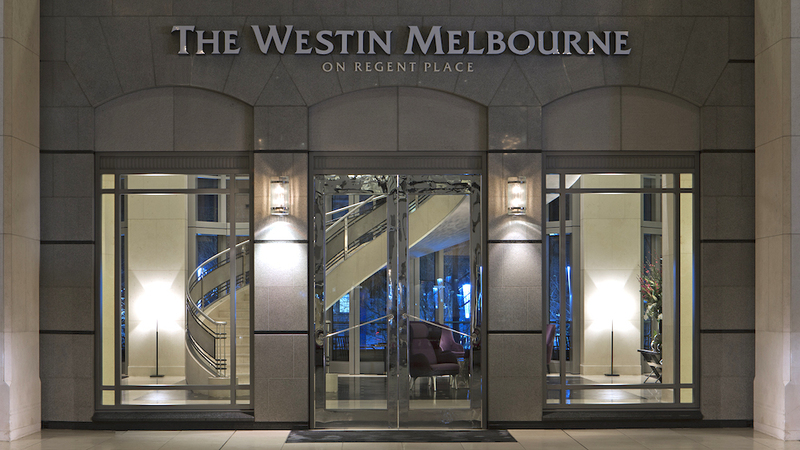 For lunch and dinner (until 10:30 pm) the restaurant serves modern Australian cuisine and a selection of local wines. Unfortunately, I passed on a sitdown breakfast and skimmed through quickly grabbing a coffee and pastry on the way out to the shuttle. 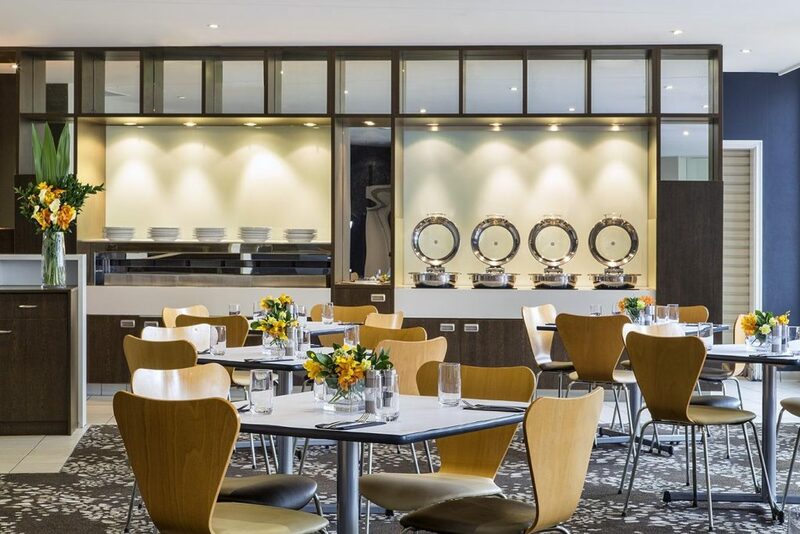 From what I could see the buffet looked plentiful and substantial of a typical hotel buffet, ranging from the usual bircher muesli, bacon and eggs to deli meats and cheeses. Given I checked into the Holiday Inn at 11:30 pm, little can be said about the overall quality of the hotel’s services and restaurants. 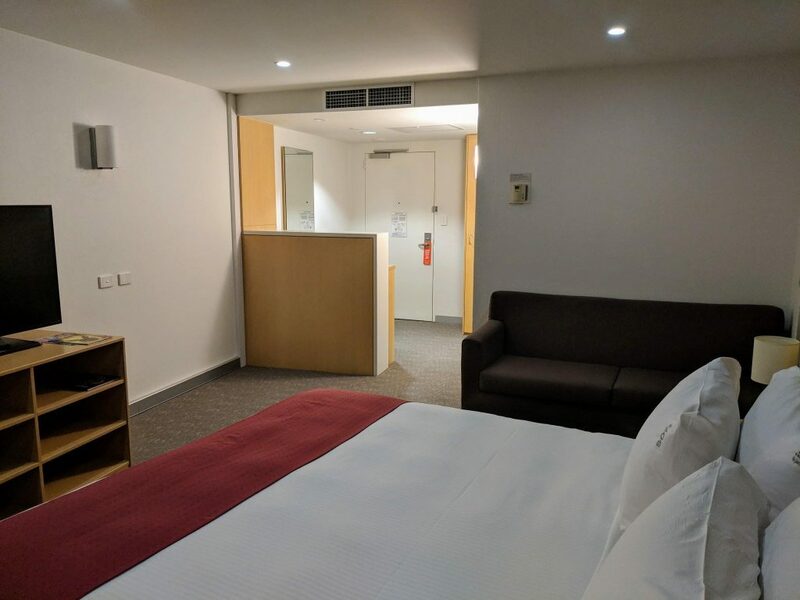 This being my first stay at an airport hotel, the overall experience was positive and met my immediate needs, which was a good night’s sleep in a comfortable bed and a hot shower. A piece of advice for those seeking a late Macca’s run across the road. Dining for walk-in customer closes at 12 am and unless you have a car it’s impossible to order a burger. The advertised McDelivery service uses UberEats for deliveries. Unfortunately, the Holiday Inn is just outside the delivery zone. Have stayed here a few times. Usually offered drink vouchers when checking it – the bar is always busy. Restaurant good. Breakfast great! !